Sarkargar Ardakani, A. (2014). Remote Sensing Based Retrieval of Snow Cover Properties Case Study (Shirkooh Mountain Yazd, Iran). International Journal of Advanced Biological and Biomedical Research, 2(5), 1865-1875. A. Sarkargar Ardakani. "Remote Sensing Based Retrieval of Snow Cover Properties Case Study (Shirkooh Mountain Yazd, Iran)". 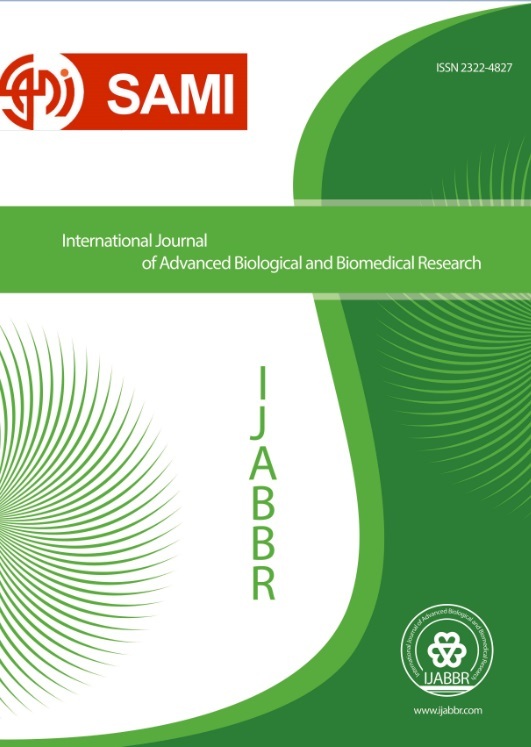 International Journal of Advanced Biological and Biomedical Research, 2, 5, 2014, 1865-1875. Sarkargar Ardakani, A. (2014). 'Remote Sensing Based Retrieval of Snow Cover Properties Case Study (Shirkooh Mountain Yazd, Iran)', International Journal of Advanced Biological and Biomedical Research, 2(5), pp. 1865-1875. Sarkargar Ardakani, A. Remote Sensing Based Retrieval of Snow Cover Properties Case Study (Shirkooh Mountain Yazd, Iran). International Journal of Advanced Biological and Biomedical Research, 2014; 2(5): 1865-1875. Snow cover area is one of the most important criteria to calculate snow melt runoff. This can have an effect on the biology of the plant and the environment of a region. Using the catchment basin physical characteristic to calculate snow cover area is a conventional method, though its accuracy is not good enough. Most of the useful methods in calculating snow cover area are based on satellite images and remote sensing methods. In this research, based on satellites images and Weather-station data, two methods have been used to calculate snow cover properties. As MODIS images have better spatial/spectral resolution in comparison with other similar Satellite images like NOAA/AVHRR, they are more suitable to distinguish snow from cloud. In this research, Normalized Difference Snow Index (NDSI), and threshold technique have been used to snow cover properties in Shirkooh Mountain. In first step, snow cover were separated based on NDSI. Then, optimum threshold was determined for three spectral bands (2, 4 and 6) to separate snow from clouds and other wet resources. Furthermore, ASTER images which have 15m spatial resolution, have been used as base images to check the accuracy of snow cover areas that extracted from MODIS images. The results show that correlation between the snow cover area extracted from ASTER and MODIS images is about 0.87. Also, since the correlation obtained from the snow pixels reflectance and snow Persistence is more than 0.5, by using these images, snow Persistence can be estimated.